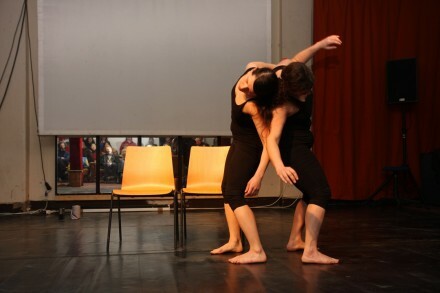 This year we participated once again in Open Space Berlin’s performance festival. Escape was the name of this year’s festival that took place between May 11th-19th as part of Berlin’s Month of Performance Art. The festival was held in a variety of locations and consisted of both workshops and presentations. We were excited about performing at BLO Ateliers located in Berlin Lichtenberg and liked how the evening took advantage of the location’s ample space by programming an evening of roving performances both in and outside.